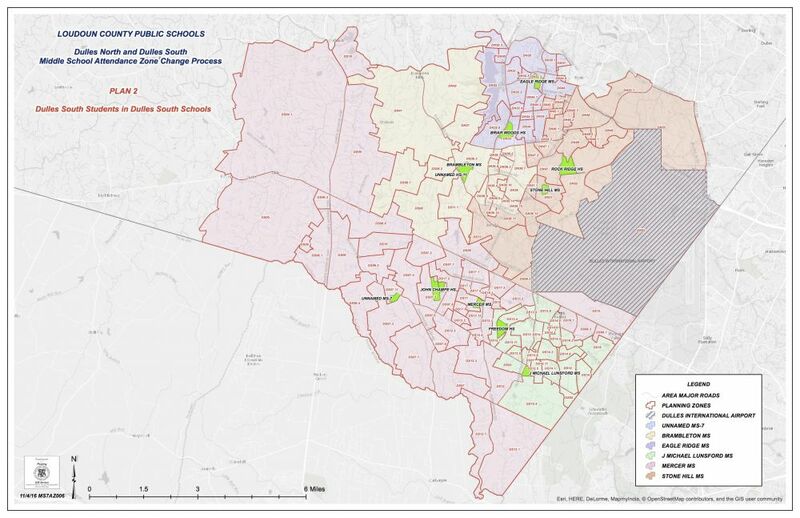 The chairman of the county’s School Board unveiled a proposed attendance map tonight that should put a few hundred families in southern Loudoun at ease. At the board’s work session, Eric Hornberger (Ashburn) presented his proposal, Plan 2, that would keep students living south of Rt. 50 in schools south of Rt. 50. The suggestion is in direct response to families who last week voiced their opposition to a staff plan that would send students from the south to schools north of Rt. 50. “I do believe personally at this point that we don’t need to do a temporary shift for Dulles South students to the north,” he said. His plan would create an intermediate school, a suggestion from senior staff members that has had support from a few board members. He said he looked at other options, but the only one that freed up much-needed seats was to open MS-7 as an intermediate school, housing grades eight and nine, while John Champe High School houses grades 10 through 12. 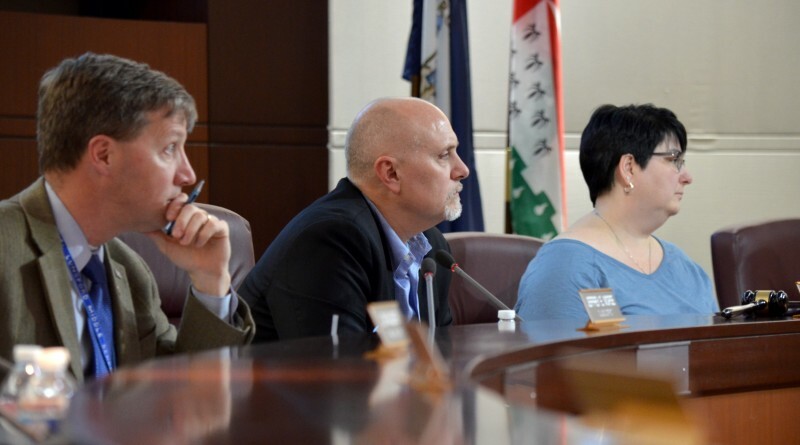 Plan 2 would assign students in planning zones DS 16 and DS 16.2, which sit south and east of Tall Cedars Boulevard, from Mercer Middle School and John Champe High School to Lunsford Middle School and Freedom High School. It would also reassign students in DS 12.4, which borders Lunsford to the south, to that middle school. It would send students in DS 11, on either side of Stone Springs Boulevard, from Brambleton Middle School to Stone Hill Middle School. Hornberger noted that the one down side with that move is students in DS 11 would be the only Madison’s Trust Elementary students who go on to Stone Hill, instead of Brambleton for middle school. Ahead of the opening of Woodgrove High School in 2010, Harmony Middle School in Hamilton served as an intermediate school for western Loudoun students. Blue Ridge representative on the board Jill Turgeon’s kids attended Harmony when it served six- through ninth-graders and had a great experience.